New York City is considering a proposal to cap the number of vehicles driving for Uber, Lyft, and similar ride-hailing services, in an effort to combat a sharp increase in congestion and address low wages for drivers. Proposed legislation before New York’s city council would make it the first city to cap the number of ride-hailing vehicles allowed on city streets, a first of its kind in a major American city, reports The New York Times. Mayor Bill de Blasio signaled his support for the measure on Friday, setting the stage for what will almost certainly be a fierce battle from Uber and Lyft. Back when de Blasio first took office, he considered a cap on vehicles, but backed away in the face of an intense public campaign by Uber that included the creation of a “de Blasio’s Uber” feature on the company’s smartphone app. The mode showed users in the city that no cars were available or wait times would be excessive. But in that timeframe, the number of for-hire vehicles in the city has jumped to more than 100,000 vehicles, from about 63,000. As a result, drivers are feeling bogged down by having to work longer hours but still only netting low wages. In recent months, five medallioned drivers have committed suicide, citing insurmountable debt that spiked upon Uber and Lyft’s arrival. 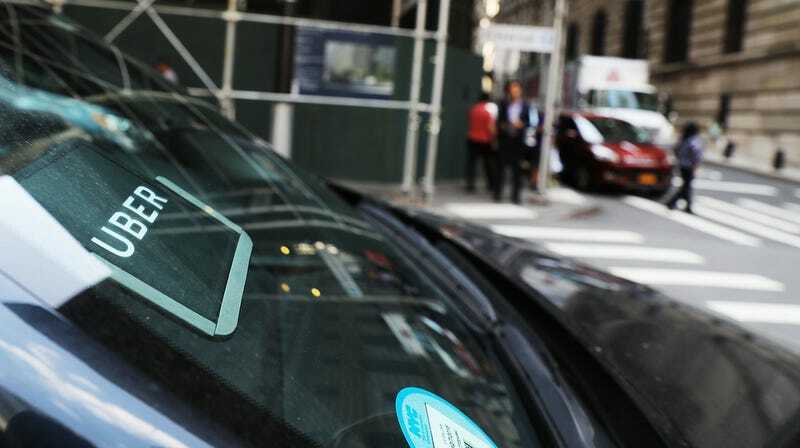 “The City Council’s Uber cap will leave New Yorkers stranded while doing nothing to prevent congestion, fix the subways and help struggling taxi medallion owners,” Josh Gold, a spokesman for Uber, told the Times. Another proposal currently under consideration would set a minimum wage of $17.22 per hour for drivers in the city. This would take New York back to an era of standing on the corner and hoping to get a ride. Wait times would increase significantly and driver earnings and job opportunities would shrink. Worst of all, the proposals prioritize corporate medallion owners above the overwhelming majority of New Yorkers.